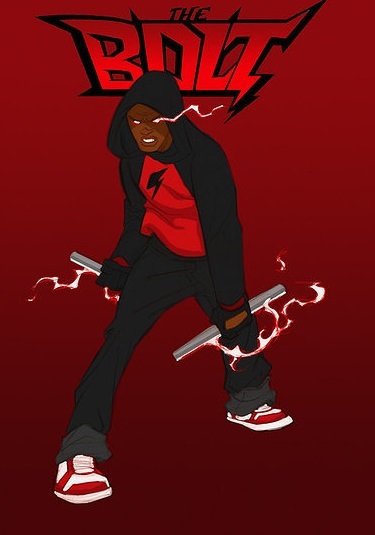 Powers: With his Zeus’ lightning powers the Bolt can manipulate, dispense and absorb electricity. By absorbing electrical energy he can increase his strength, speed, endurance, or take flight. As he progresses he slowly unleashes his full potential and discovers new powers along the way. Marcus was struck by his destiny in the form of a lightning bolt. Little did he know that it wasn’t just any random lightning strike, it was the power of Zeus’ bolts being transferred to his body. Unsure as to why he was chosen for this ultimate power, he still decides to take the responsibility and be a warrior. ← Meet Teenage Mutant Ninja Turtles 2's Bebop! I was thinking it sounds and looks like a Static rip off, then I saw the art work. Was there really a Static crossover or is that just wishful fan art? Any chance of seeing a review for one of this comics? I like the way you review comics so I’m interested in seeing one for this.